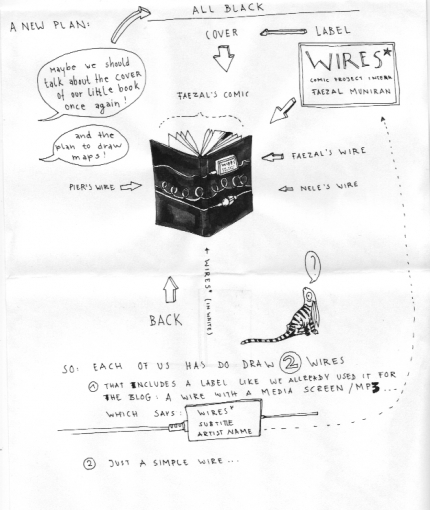 What do you think about black books with 3 wires on it (in white and light pink... ? It can be rverthing but NOT light blue) and a small label with titel and artists name on it? The books would be much more similar to each other which keeps the tension and is a nice statement - I think. What do you think? I hope my sketch doesn´t confuse you eaven more. Have a great saturday night ..